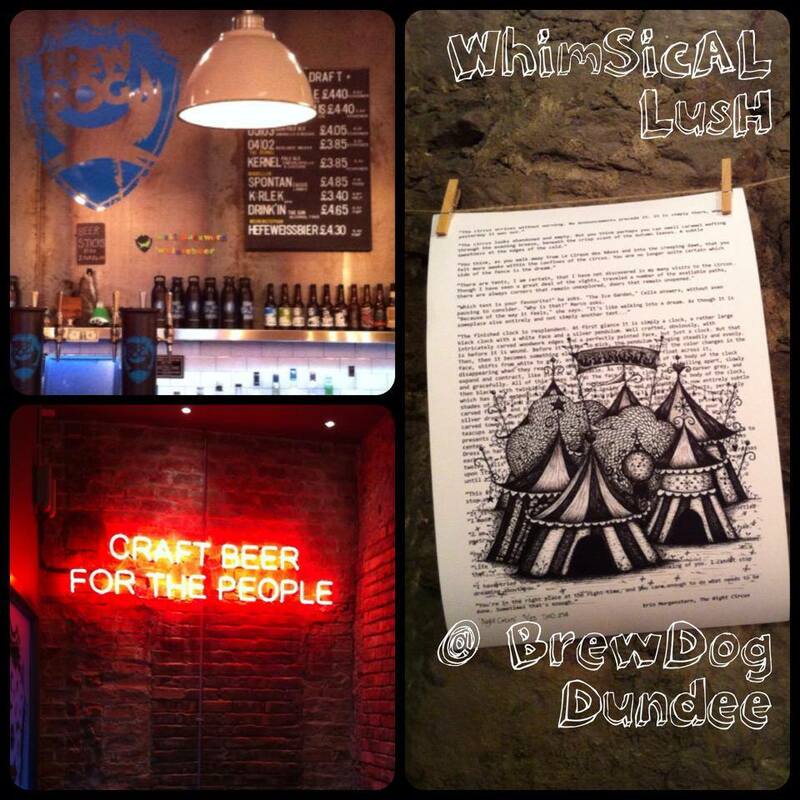 Over the last few weeks I have been working on a big project for BrewDog Dundee. 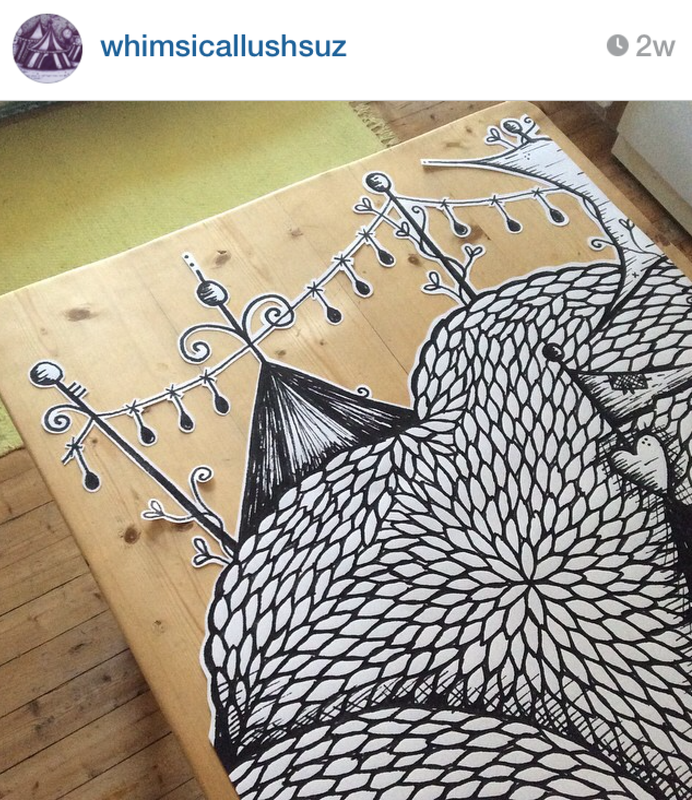 They let me loose with my hand drawn paste-ups, pens and the biggest print that I have had made of of one of my illustrations yet! 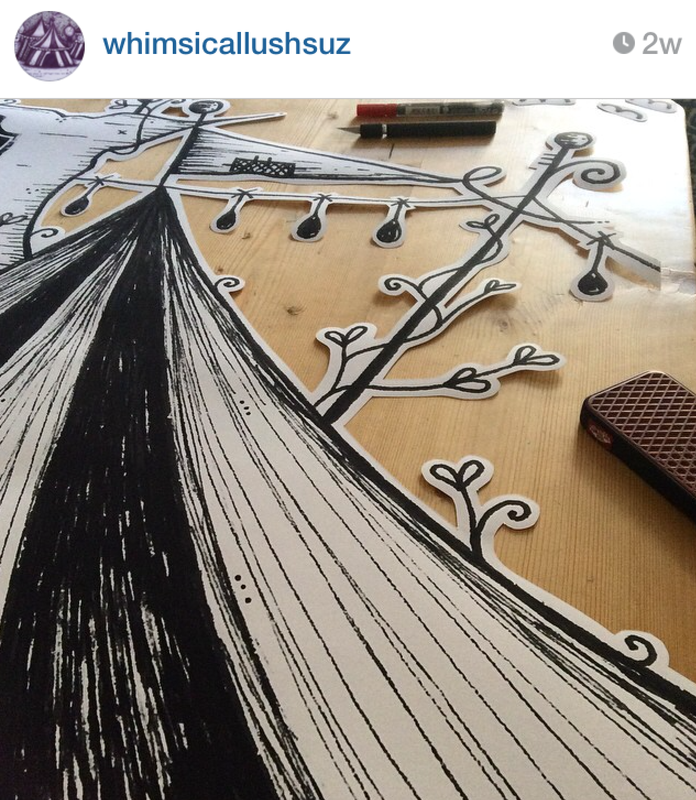 The massive circus was drawn specifically for this project and is approximately 2x2m in size. It’s bigger than me! 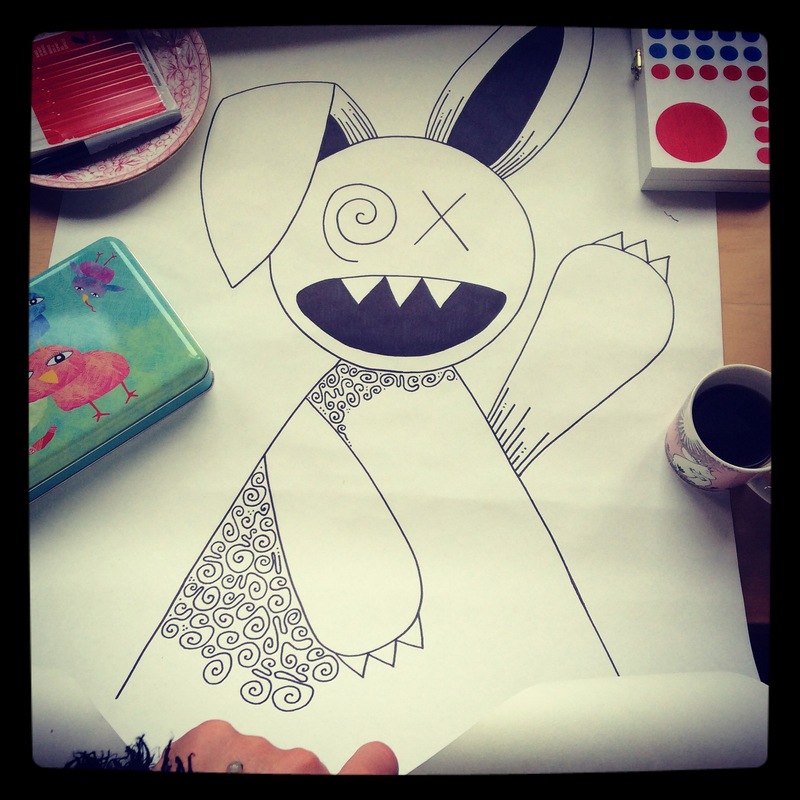 So I needed a bit of help pasting it up! 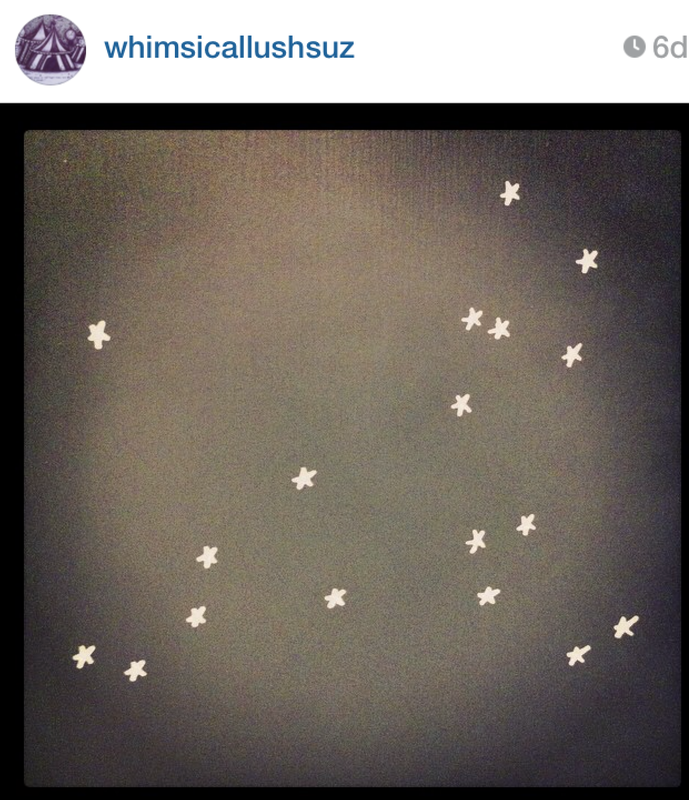 And this is what it looks like now in it’s new home! Dymagate was ace and came down from Aberdeen to help me install everything… and took some cool action pics too! 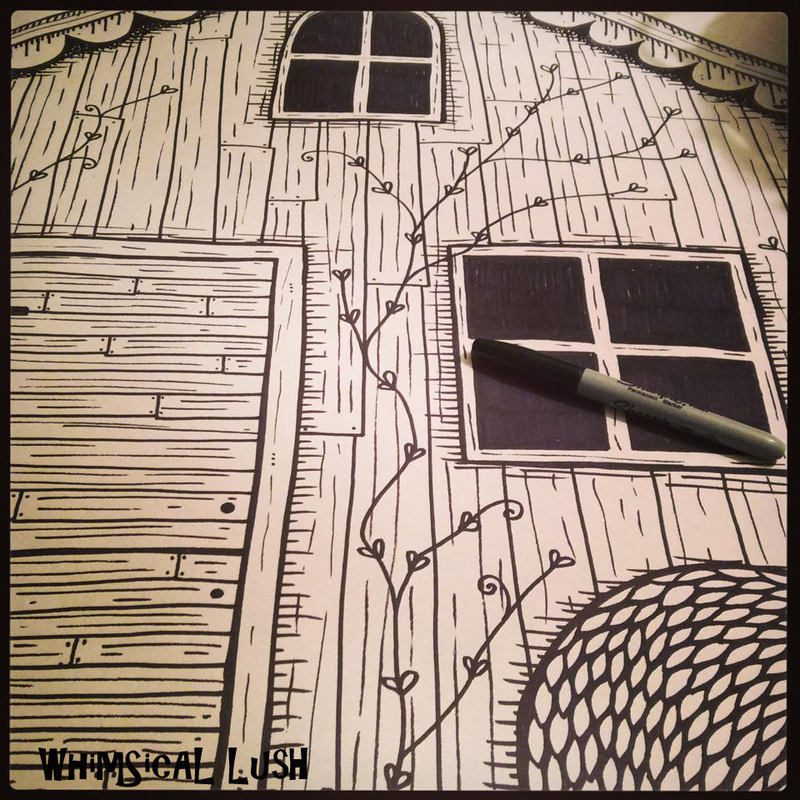 It has been a heap of hard work and so much drawing but this project has pushed me to try new things that I haven’t tried before…. 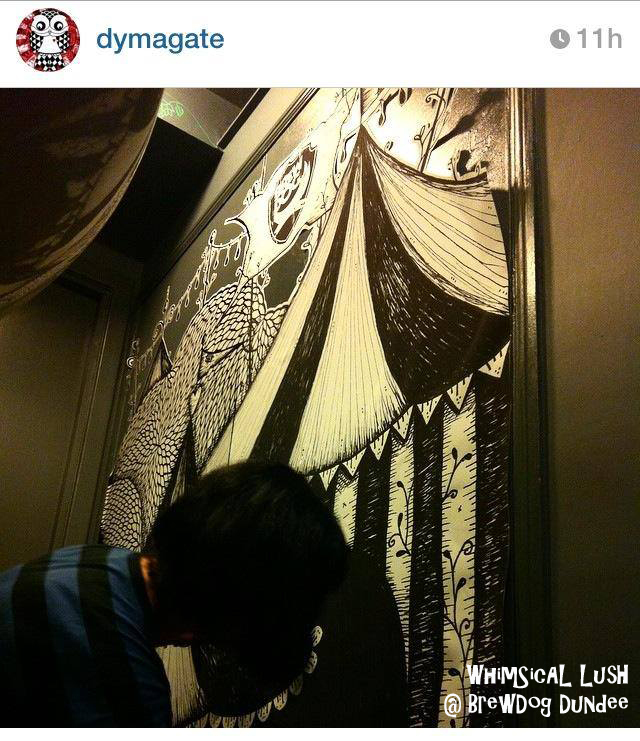 and now I can draw big and have found a new obsession for drawing on walls! 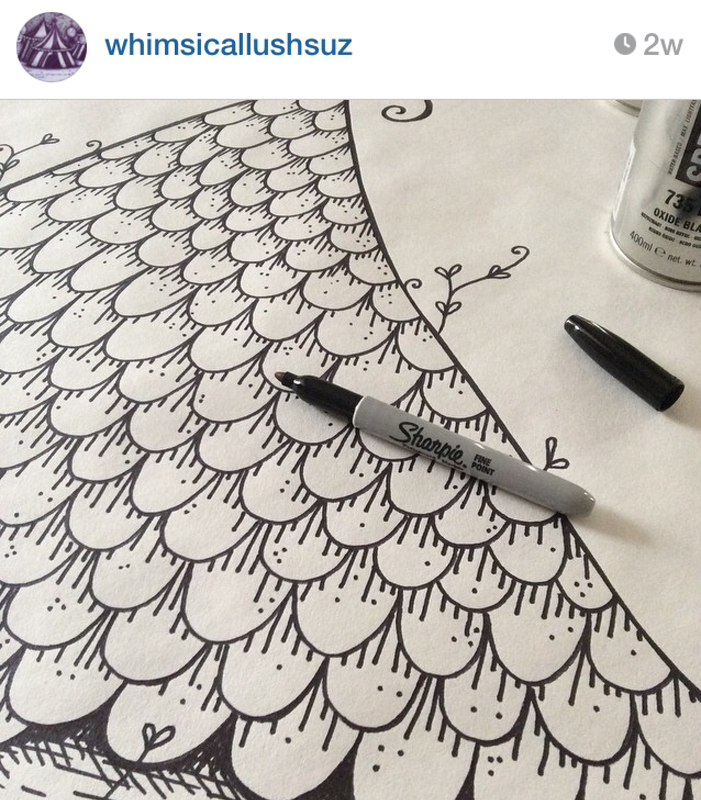 My flat is slowly turning into a giant mural! Ha! 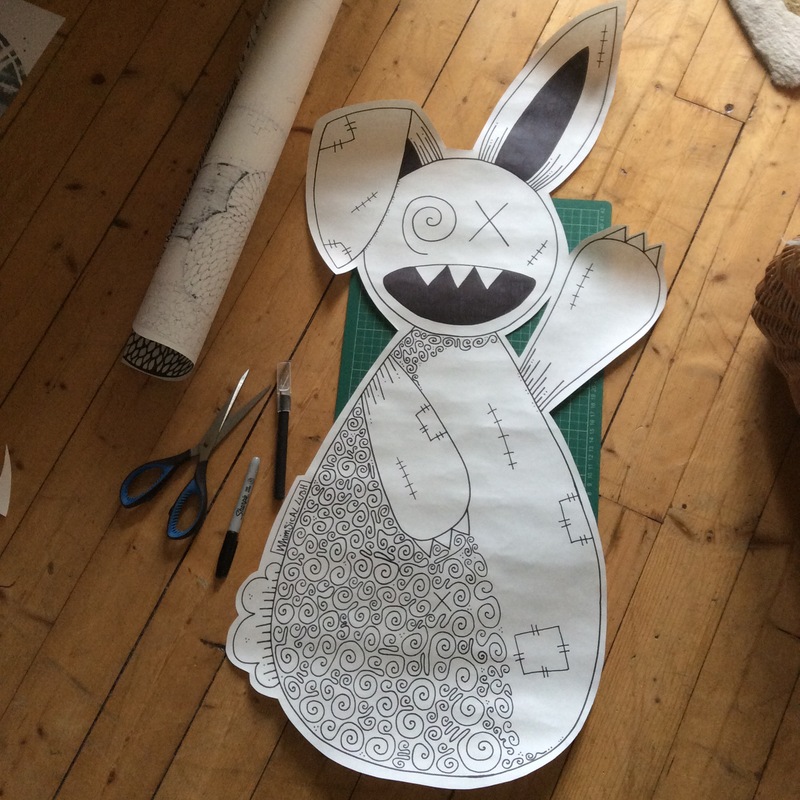 Here are some more pictures from the project, including the giant Zombie Rabbit who floats around in the men’s toilets on his BrewDog balloon above the castles and towers below. 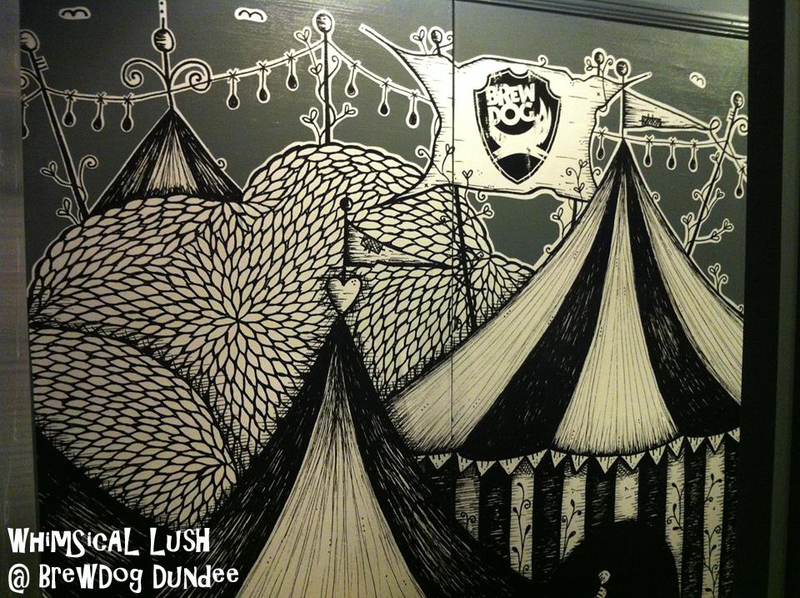 BrewDog Dundee have also been kind enough to give me some space on their wall in the main bar too. 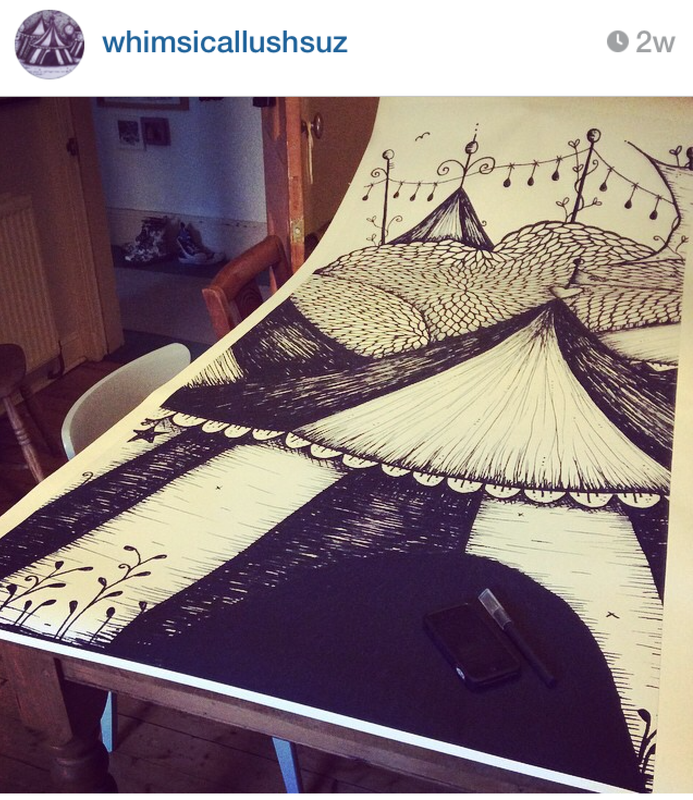 You can now find a very limited edition (run of 25) print for sale of ‘The Night Circus’ which was an illustration I did earlier this year inspired by the book of the same name. 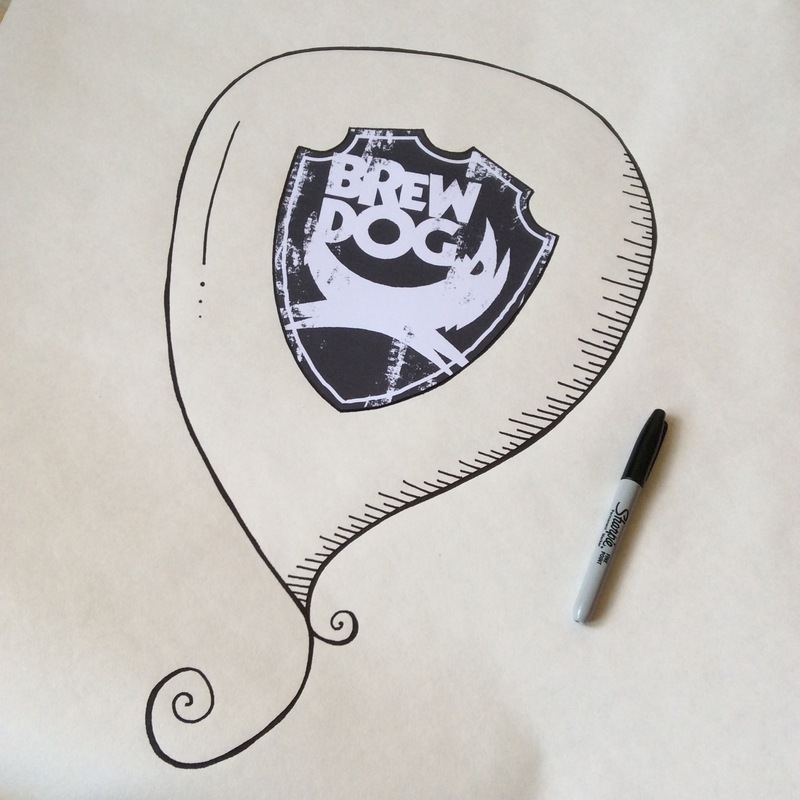 This illustration led to the BrewDog Circus illustration. 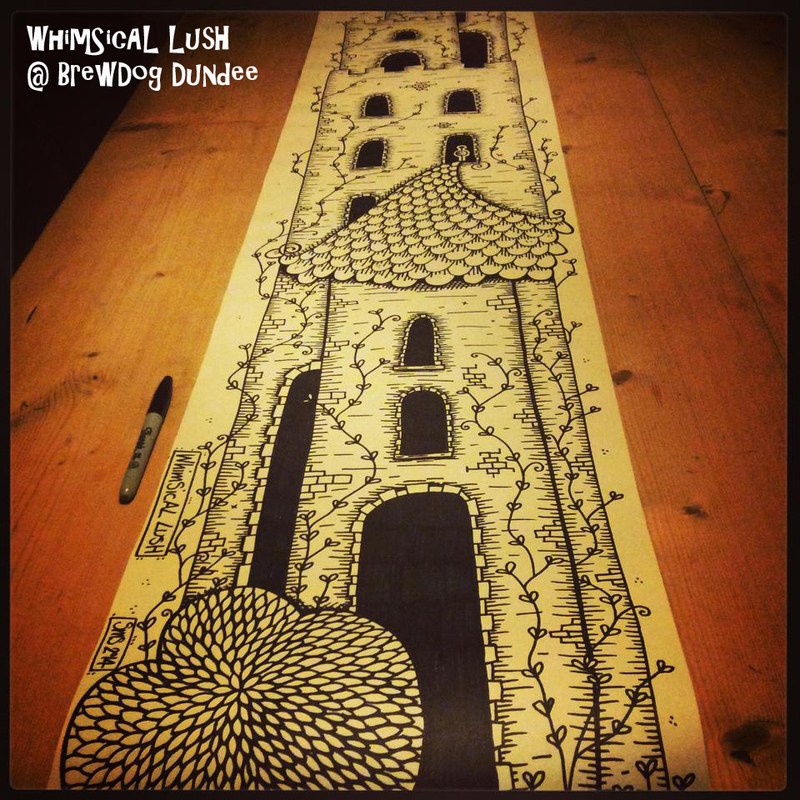 These prints will be available exclusively from BrewDog Dundee or from me. 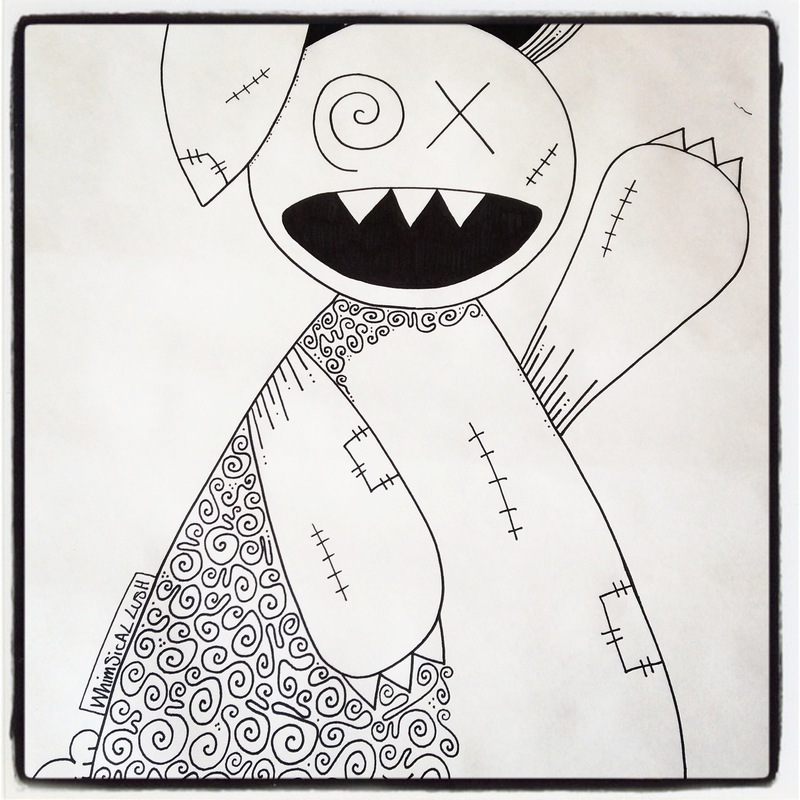 They shall be available to purchase in my Etsy Shop soon! 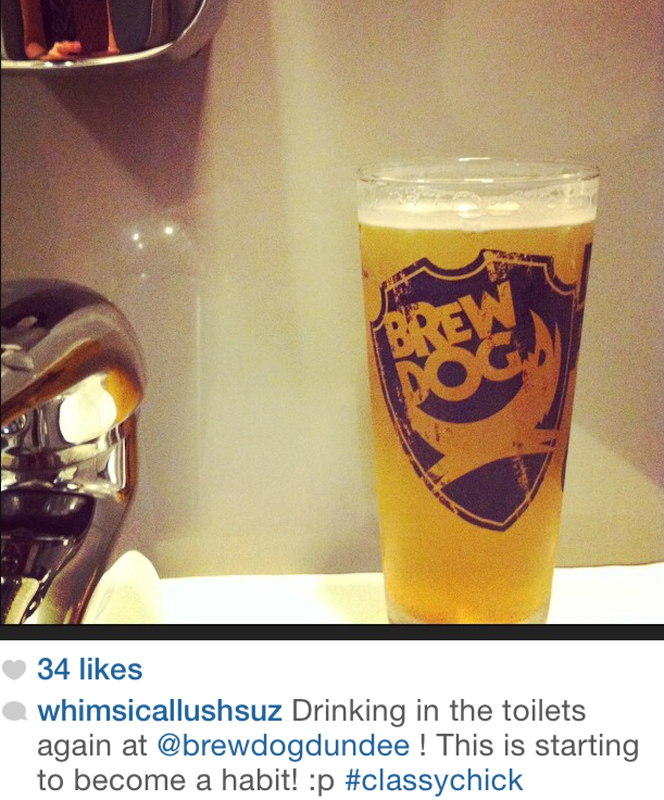 Trip Advisor Review: Fab Staff And Check Out The Toilet Decor! 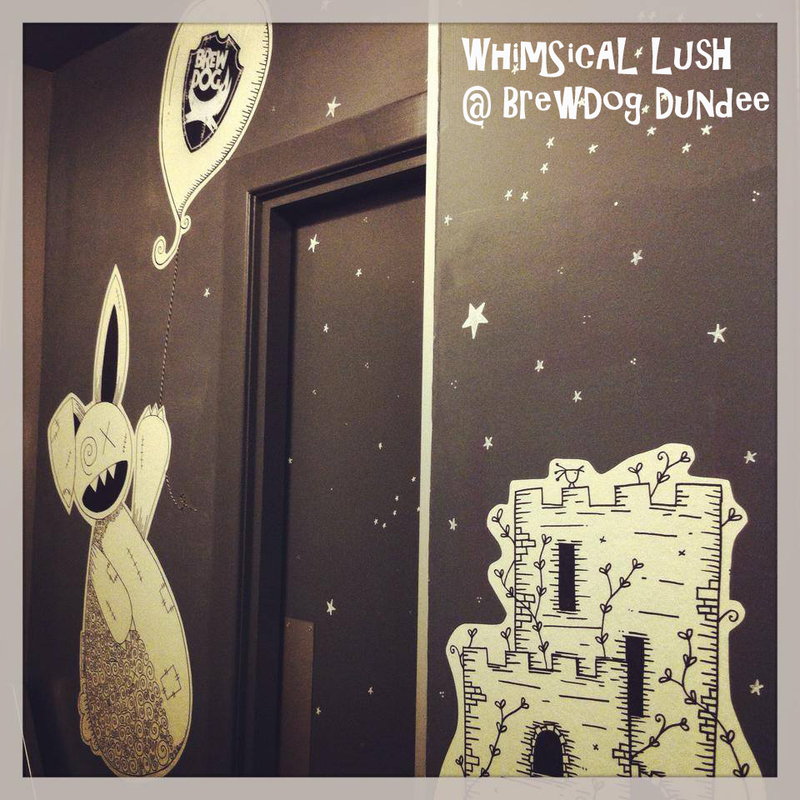 “There has been an invasion, of sorts, at Dundee’s newest bar. 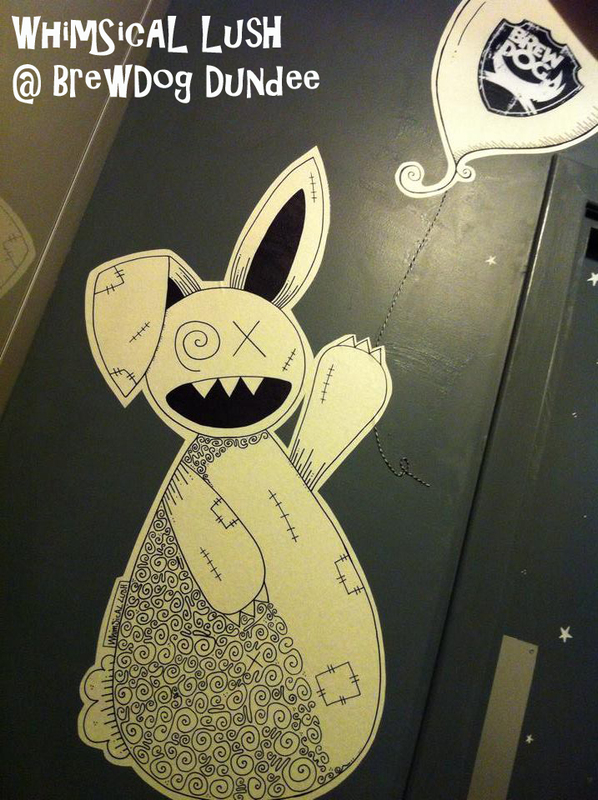 A zombie rabbit has taken over the men’s bathroom at Brewdog Dundee and a fairy tale circus has appeared in the ladies. 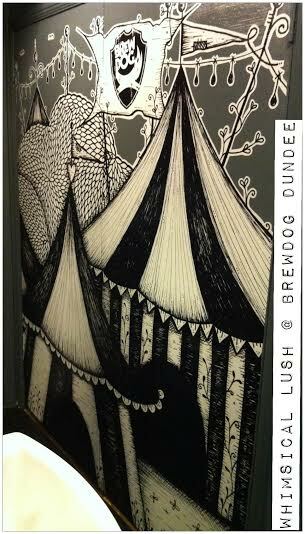 He said: “The latest project by Whimsical Lush came about after Suzanne contacted me after a visit to our bar one evening, having visualised the massive potential in the blank walls of our ladies rest room. 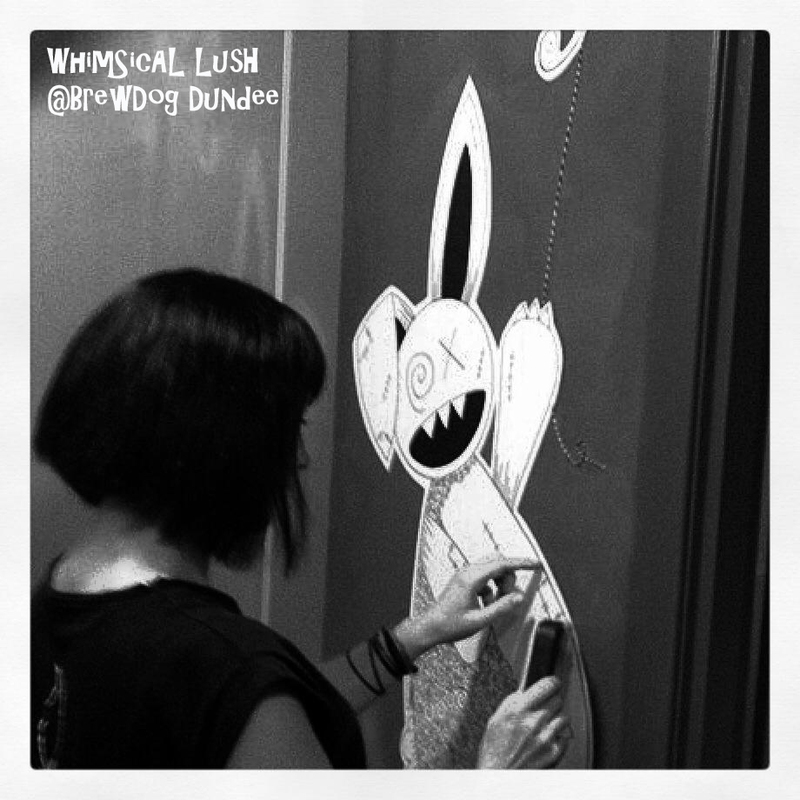 “Having seen pieces of her work previously I was excited to have her on board and gave her free licence to funk up our walls as she saw fit. “The work that’s gone into these is incredible and we were all blown away by how amazing these pieces look, completely transforming the look of both our female and male rest rooms. 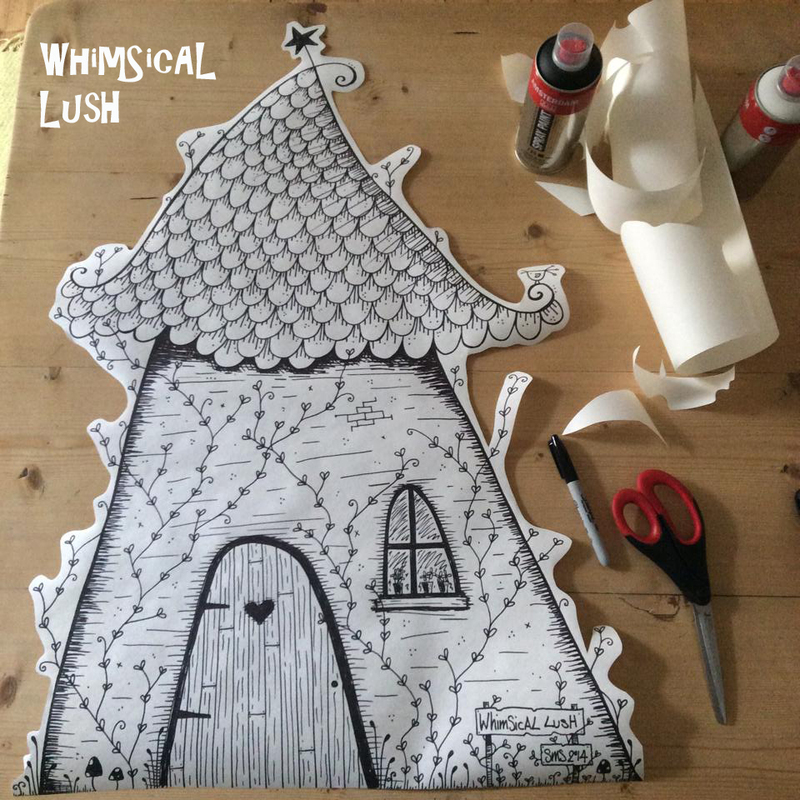 For more about the project and updates as it was happening please pop over to the WhimSicAL LusH Facebook Page. 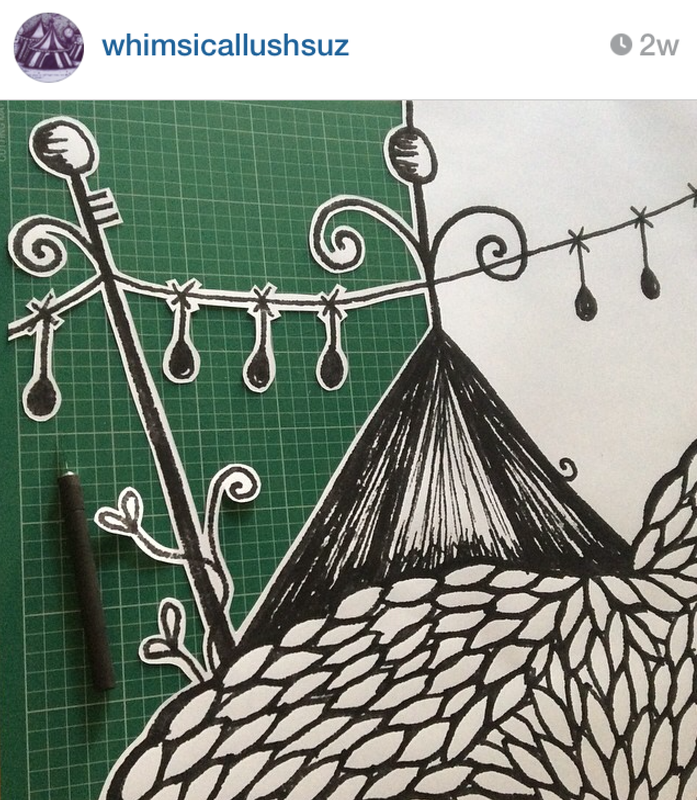 You can find out more too on Twitter and Instagram (where you get some of the behind the scenes too! ).